The world’s first hybrid water and shaker bottle is here. Crafted beautifully with earth-friendly materials, this premium vessel incorporates a range of useful features. 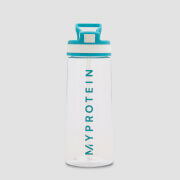 Storing over 650ml, the Trimr water & shaker bottle will help you to keep fuelled during the day. 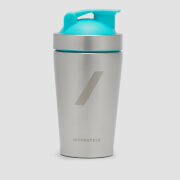 The Trimr water & shaker bottle is BPA Free, leak proof, odour resistant and dishwasher safe. The Trimr hybrid water and shaker bottle features both a sip spout and a chug opening for ease of use. The surgical grade stainless steel cyclone agitator ensures that your shake is always smooth, whilst the anti-slip base ensures that your Trimr water & shaker bottle stays exactly where you left it. With a 1 year free warranty, this is a risk free investment. Great shaker. I use it to dissolve ibcaa (branch chain amino acid powder. This shaker works quickly and I really like that it's a water bottle with a straw. I gave it four stars only because my water doesn't stay cold, unless I put ice in it and that only lasts for so long. It would be great if it didn't leak. Great design, but its leaks every time i'm shaking it. Gorgeous mixer but leaks everytime I shake it hard. Lid is all the way tight. Great shaker cup, mixes everything well. Like the straw and the regular opening. Rubber coating on bottom is a nice bonus! My new favorite water bottle. I like the built in mixer. I use it for my creatine monohydrate. High quality design as well. Water, creatine monohydrate or anything you need to mix. This is by far my favorite shaker bottle I have ever owned. The ability to drink my protein shakes from a straw is so convenient. Its design is sleek and attractive and because the agitator is attached to the straw I can't loose it! I use it both shakes, pre-workout and just as a water bottle. I bought both colors! My friends ask me where I got the bottle as it is so unique. Highly Recommend!! 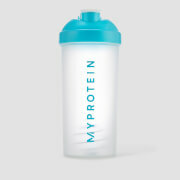 Protein, Pre-workout, any mixable and just as a water bottle! The straw feature and sleek design of this bottle is amazing. I get so many compliments on the bottle and I love that I can't lose the agitator as it is attached to the straw. I highly recommend this bottle and just bought the black one! Protein, Preworkout and just as a water bottle!